When one thinks of St. Patrick’s Day, the word healthy probably doesn’t come to mind. With most of the day focused on drinking dark, thick beers and eating treats dyed green from fake additives, it’s no wonder the day isn’t known for its natural and healthy eats. But don’t fret — you can still have your cake and eat it too. Instead of adding tons of green dye to your meal this March 17, add these naturally green sauces, fruits, veggies and dips or enjoy a fresh green tea! These naturally green and delicious foods and drinks will add festivity to your plate and glass without adding weird ingredients processed in a factory. Enjoy foods made WITH plants, not in one! 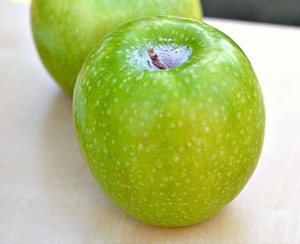 Adding some freshly cut apple slices or bright green grapes to your breakfast is a quick and very easy way to add some natural green to your oatmeal or pancakes. Plus, a fresh piece of lettuce will give your plain turkey sandwich some St. Paddy’s Day flair. For dinner, wrap your traditional corned beef in a crisp, green cabbage leaf for a delicious, gluten-free and healthy meal! Does your Irish stew recipe need a dash of greenery? Place some sprigs of fresh rosemary on top to make your hearty stew more appealing. Fresh herbs, like cilantro, thyme, rosemary and basil, are very simple ways you can turn normal dishes from drab to fab without having to add strange ingredients or additives. A few fresh basil or cilantro leaves can quickly improve the taste and look of any entree. 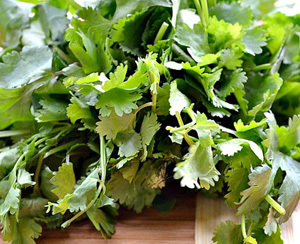 Plus, with almost no calories or fat, these beautiful green herbs only tack on flavor, not fat! 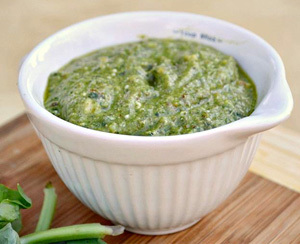 Pesto is one of the easiest and quickest sauces you can make. Made with fresh basil leaves, olive oil and a little cheese and salt, this creamy, green sauce is as healthy as it is delicious. Pour some of this lucky green sauce over your roasted corned beef to add some festive flair to a classic Irish meat! Place garlic cloves, walnuts and oil in a blender or food processor and pulse until smooth. Add in basil leaves, cheese and salt and pepper. Pulse until mixture is creamy. Add additional salt and pepper to taste and enjoy! If plain veggies make you gag and pesto makes you squirm, try adding some fresh pickle relish or chunky, mashed avocado to your St. Paddy’s eats to add some more festive (and natural) green to your plate! 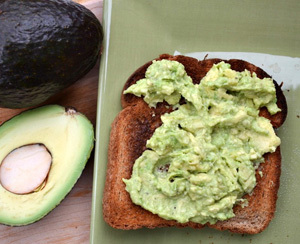 Although guacamole is not a typical eat on an Irish holiday, a spoonful of this stuff gives you protein, healthy fat (that can lower your bad cholesterol) and can fill you up for hours! To add green to your Irish fare, put some pickled relish on top of your corned beef, cabbage or stew for a zesty kick! 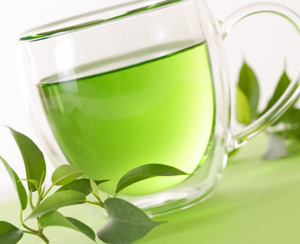 Although green tea isn’t technically a food, this metabolism boasting super-drink is a great way to start your day! Paired with a little honey or sugar, this very low calorie drink won’t weigh down your party plans. Plus, each glass gives you enough energy to power through your St. Paddy’s Day parades or your Irish themed bar crawl. I hear green tea makes a powerful hangover cure as well.